News from the Middle East underline the central role that energy and energy policy plays in issues of war and peace. In Cairo last week, Egypt, Cyprus, Italy, Greece, Jordan, Israel and the Palestinian Authority agreed to establish an organization to manage the region’s natural gas resources. The agency, which will be based in Cairo, is called the Eastern Mediterranean Gas Forum. The inclusion of Israel in the body is a major diplomatic achievement for the Israeli government and also an indication of the importance of the gas fields off the coast of Haifa. 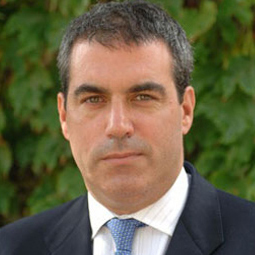 Israeli’s Minister for Infrastructure, Energy and Water was in Cairo for the announcement and his trip was the first visit by such a high level Israeli politician since 2011. A consortium led by a U.S. company, Nobel Energy, has been working in the Eastern Mediterranean for 20 years. 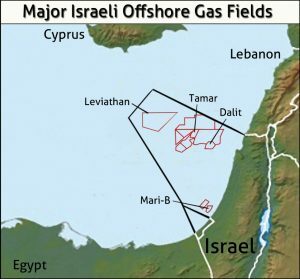 Its Tamar field currently produces 60% of Israeli’s power generation requirements and the even bigger Leviathan will export gas across the region. Its development is, most likely, the fundamental reason for the establishment of the regional gas forum in Cairo. In Israel itself, there was been opposition to the terms of the agreement with Nobel and its Israeli partner, The Delek Group, but Prime Minister Netanyahu pushed ahead with it and a new legal framework as he sees the gas fields as an integral part of Israeli’s economic and geo-political future. The other news came from the United States Navy’s fifth fleet which has been stationed in Bahrain since 1995. The commander of the fifth fleet, Vice Admiral Scott Stearney was found dead at his home in Bahrain on December 1st and in a reportedly unrelated move the John Stennis, an aircraft carrier, has been deployed to the region with its support ships. The Stennis is the flagship of Carrier Strike Group 3 and is the first aircraft carrier to be deployed to the Gulf in eight months according to Time. Nearby in Yemen, war is still raging between an alliance of Saudi Arabia and other Sunni Arab countries on one side and the Houthi rebels who are reportedly supported by Iran on the other. The Carrier group was dispatched to the region under former defense secretary Jim Mathis who resigned from the Trump Administration over his disagreement with the President concerning the withdrawal of U.S. forces from Syria. Although Mathis was scheduled to leave office in February, Trump has appointed his deputy, Patrick Shanahan, as Acting Defense Secretary as of January 1st. Mr. Shanahan has no military experience but does have masters degrees in engineering and business from MIT and a succesful history as an executive at Boeing. In his statement on assuming office Shanahan said “I now look forward to working with President Trump to carry out his vision” which one could assume to mean that he will not push back on Trump’s views with respect to Syria, Iran or anything else of substance. So far that vision has been to offer full support to Saudi Arabia and its allies despite the fact that the United States is importing much less oil from the region and the apparent brutality of the Saudi regime as shown by its murder of Jamal Khashoggi. While the development on the Eastern Mediterranean is clearly good news, an increased military presence of the United States in the Gulf could prove problematic if Donald Trump and his new, untested, foreign policy team face a serious crisis.